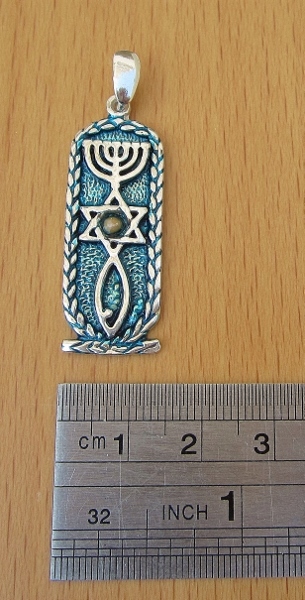 Sterling silver pendant with Grafted-In emblem embedded in cartouche. 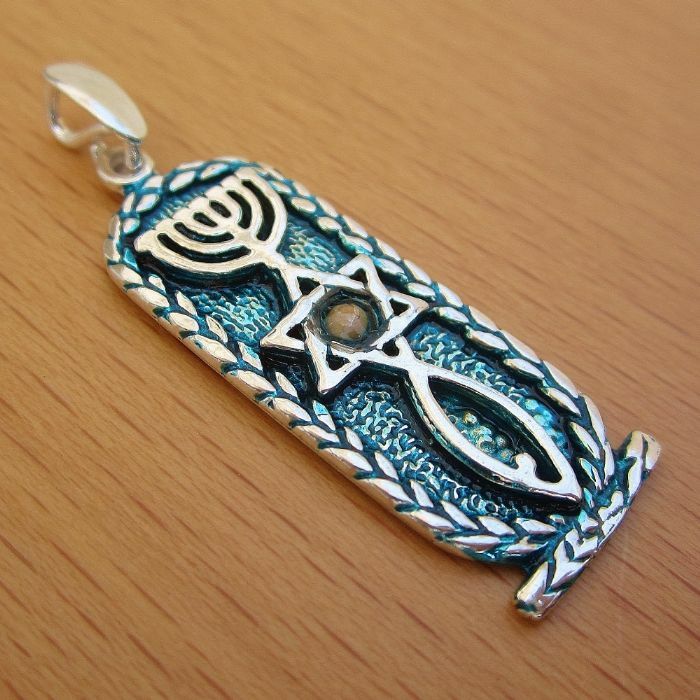 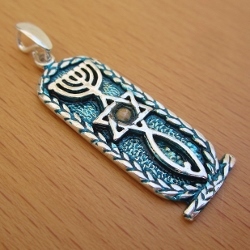 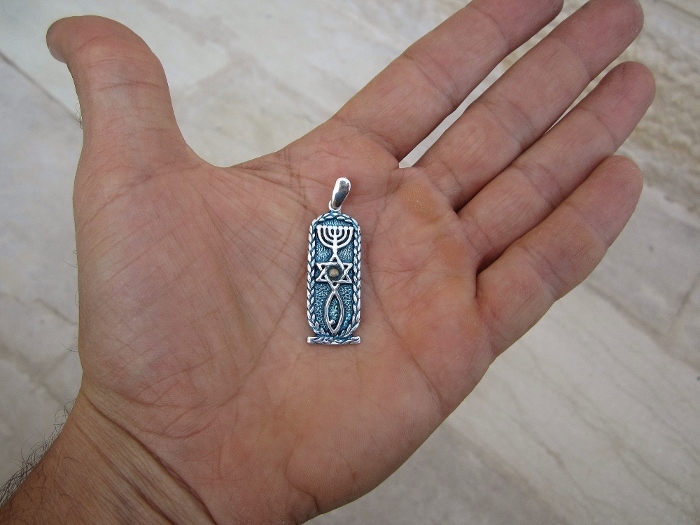 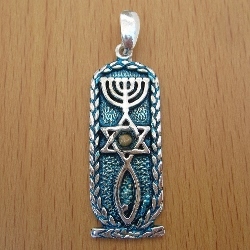 Turquoise enameled background with mustard seed in the Star of David. 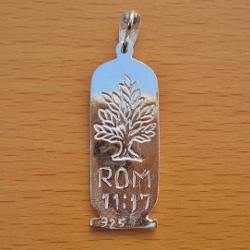 An olive tree and “Rom. 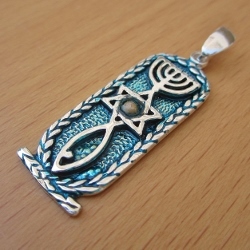 11:17” are inscribed on the back.